For efficient team-based database development, and reliable and repeatable database deployments, going without source control isn’t really optional any more. Quite apart from making it easier to work together, roll back, and share changes, it’s the cornerstone of better change management and continuous integration. But how do you get started? Database development traditionally hasn’t used source control at all, and there’s a bit of ground to cover before jumping into version control. This book provides just the right combination of theory and practical example to get you started quickly. 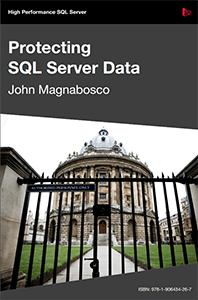 The eBook gives a detailed walkthrough of database source control concepts, with code samples and clear examples – check it out. Robert Sheldon has worked as a technical consultant and written numerous books, articles, and training material related to Microsoft Windows, various relational database management systems, and business intelligence design and implementation. He has also written news stories, feature articles, restaurant reviews, the novel, Dancing the River Lightly, the publishing guide Ebook Now, and six books in the 5-Spot ebook travel series. Rob Richardson is a software craftsman from Phoenix, Arizona building web properties in ASP.NET and Node. Rob specializes in translating business requirements into technical solutions for small- to medium-sized businesses. He has created software applications ranging from enterprise-scale applications to PDA-based systems, web applications to embedded database synchronization and postscript processing systems. You can find recent talks on his blog at http://robrich.org/ and follow him on Twitter at @rob_rich. Tony Davis is an Editor with Redgate Software, based in Cambridge (UK), specializing in databases, and especially SQL Server. He edits articles and writes editorials for both the Simple-talk.com and SQLServerCentral.com websites and newsletters, with a combined audience of over 1.5 million subscribers. You can sample his short-form written wisdom at either his Simple-Talk.com blog, or his SQLServerCentral.com author page. 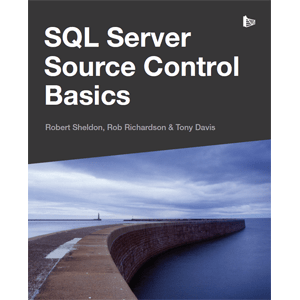 Source control can and should play a key role in the database development and deployment process, and this book will show you exactly how to get started. 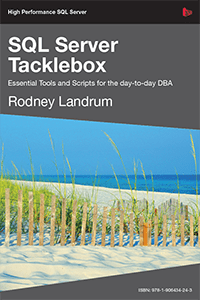 Inside the SQL Server Tacklebox you’ll find day-to-day tools and techniques to automate and standardize SQL Server installation, document and report on your servers, migrate data and manage data growth, troubleshoot performance issues, receive notifications of impending issues, secure access to your servers and fight off the data corruption monster. 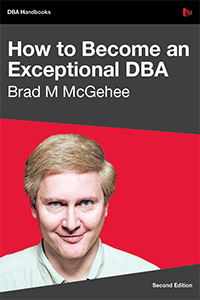 Whether practicing for an exam or interview, or just wanting to see who’s got the biggest SQL Server brain in your office, this book is perfect. 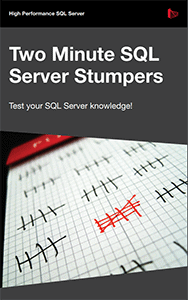 Containing 100 SQL Server Central Questions of the Day, this book is a great way to test yourself and increase your knowledge.